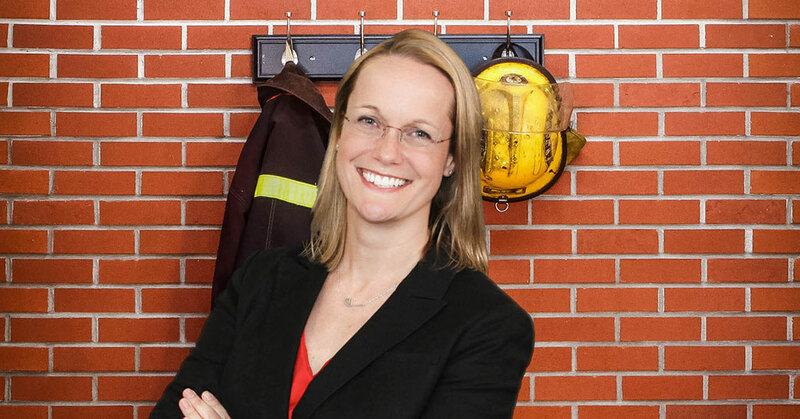 Kristen Majdanics joined the Firehouse Subs marketing team in 2008 as brand manager. Since then she has helped to build the brand from a regional player to a national brand with supporting media, creative, social, and digital activity. Today she leads a team of 17 marketing professionals who support the brand and its franchisees by focusing on product development, packaging, promotions, social engagement, video content, a growing loyalty program, and an evolving array of media support. My role is to be a problem-solver. Marketing is about recognizing marketplace or consumer needs and matching those needs with what your brand can deliver. My role is to see opportunities where they may not exist today and find ways for Firehouse Subs to be relevant to guests' lives in ways that are more compelling than what another brand can offer. Something that might seem small or of relatively minor impact today can easily spin up into a major area of focus. Part of my role is knowing the difference. It's a complex problem to solve, and it's ever-changing. But that's what makes being a marketer and working in the restaurant space exciting. The obvious answer is deciphering the digital landscape and understanding the exponential increase in reporting metrics we can access. There are a lot of metrics, but not all of them are important. But the real answer is balancing the human part of the team--the people management, motivation, and growth--with the dollars-and-cents portion of marketing. Having the right people on the team, who are driven and capable, is critical to making marketing programs happen. Maintaining the team balance and keeping everyone motivated in their own way is challenging, but rewarding too. 1) Using data to your advantage, but 2) knowing numbers can only take you so far, because 3) you will need to make decisions, and the numbers are not guaranteed to provide a clear direction. You need to rely on your experience, and your team's experience, to make the final call. Of course, the ultimate measurement is seeing an increase in sales and transactions. The other metrics, like click-throughs and impressions, are good for providing a sense of where there's the most activity. But ultimately, the activity metric that means the most to us and to our operators is sales. We also measure a lot around the edges to make sure we're heading in the right direction. For example, we use regular brand trackers to understand how our message is being perceived--and whether or not we're delivering the message we intended. We consider traditional and digital media as working together, so we use them both. Because we have locations across the country, we rely on digital because we can target digital in a manner we cannot target traditional media. It allows us to be more precise and provide better media impact and value for our operators. Very closely. Marketing is not an island. We are plugged into what is on the minds of our leaders. Marketing needs to support (and needs the support of) technology, operations, executives, and training. It goes both ways. For a marketing concept to come to life, we need strong support from each of those disciplines. And there are times when marketing can help make an initiative created or led by another discipline more successful. Online ordering is a good example. Marketing can have an enhancement idea, and technology, ops, and training can bring it to life. Or, technology can have an enhancement planned for online ordering and marketing can raise awareness of the new feature, with the help of training and ops. Good ideas and content can come from a lot of different departments. It's everyone's job to make the most of it. That's not been my personal experience. In fact, 32 percent of CMOs are women (according to Korn Ferry, Dec. 2017). Firehouse Subs launched a revamped creative campaign in 2018. I was relatively new in my role as the marketing leader, so this was one of the first opportunities I had to really put my fingerprints on the brand. And while I had the support of the leadership, the franchisees were not entirely convinced that the new campaign--which touted that a portion of every purchase at Firehouse Subs would be donated to the Firehouse Subs Public Safety Foundation--would drive sales. We had a different version of the campaign the year before and the sales were not as strong. So 2018 was a reboot for the creative and media. As we ended 2018, we were more than 5 percent positive in comp sales. We've seen not only sales growth, but also growth in our brand perception metrics. As I mentioned, this was my first year leading the department, my first year without a net. And we succeeded. I think the convergence we are seeing now in regard to technology, guest experience, social media, and traditional marketing will continue to build and expand. The breadth of marketing's role and impact is expanding. Marketing is at the table when it comes to technology choice, guest experience decisions, and even employee relations. I don't see that changing. Be curious and raise your hand. Take on the project that's not the bright and shiny one. Because that's where the real opportunities to excel are hiding.